Dhruva and not Rakshak is the title of RC 10? Home/NEWS/Dhruva and not Rakshak is the title of RC 10? Dhruva and not Rakshak is the title of RC 10? 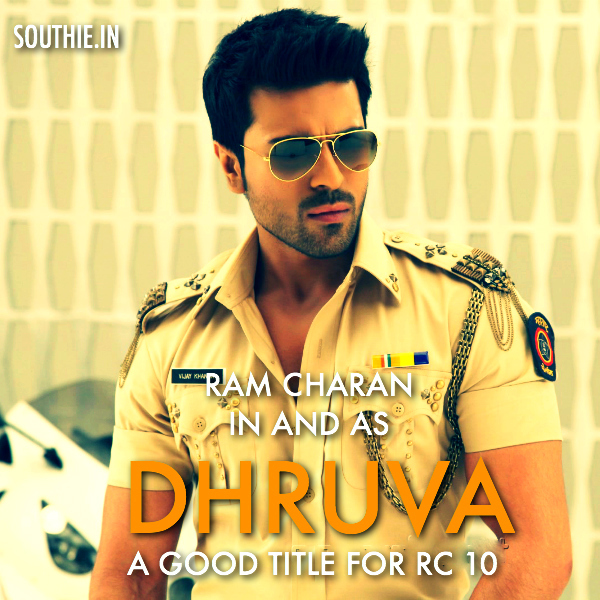 Ram Charan and Surender Reddy’s much anticipated remake of Thani Oruvan is to be titled Dhruva. Ram Charan’s next movie to be directed by Surender Reddy is set to begin from 18th February. He plays a trainee IPS officer named Dhruv in the movie which is remake of Tamil hit, Thani Oruvan. So Dhruva is the title under consideration for the movie. To be produced by N V Pasad and Allu Aravind, the movie has the cast of Aravind Swamy in the negative role and Rakul as heroine. Tamil music directors duo Hip Hop Tamizha are scoring the music. When Legends Meet, Social Media goes Berserk. Chiranjeevi and Mohan Lal.